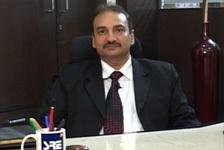 Mr. Yogesh Gupta is the founder and director of Sykes & Ray Equities (I) Ltd. He has obtained his Masters Degree in Economics and is also a Certified Financial PlannerCM With more than two decades of experience in the Financial Services Industry, Mr. Gupta has been passionate about conceptualizing and offering financial services to the Indian Masses. "SRE has Pioneered corporate retail broking in India. Customer interest has always been our number one priority. This defines who we are. Now, as to where we are headed, it is transforming ourselves to professional financial planners, providing holistic goal based purposeful investments. Over the years our highly experienced family of financial professionals have delivered comprehensive financial plans and products. Thus ensuring our customers growth, and ultimately leading to their financial freedom. Thus our philosophy... Let's grow together!" 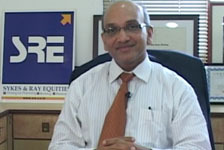 Mr. Anup Gupta is the Managing Director of Sykes and Ray Equities (I) Ltd (SRE). He has served on various committees of the BSE and is currently a member of the Executive Committees of BSE Brokers Forum, ANMI and a member of the Capital Markets Committee of Indian Merchants Chambers. He has also been instrumental in the expansion of SRE to establish a strong foothold in the market. "We have chosen to expand through the franchisee model simply because India is a land of Entrepreneurs and looking at the nature of the Capital Markets we felt that it is the best way forward. We have more than 400 Associates and branches and will grow to over a 1000 in the next 3 years and focus on wealth management. Our Associates will grow as we empower them with Knowledge and support them with Technology to become Financial Doctors. We conduct regular investor awareness programs across the country in our endeavor to spread financial literacy. We shall continue to expand our network of associates and client base with a focus on nurturing the clients wealth."